The number of health and wellness benefits are limited only by the imagination and the body and mind’s desire to heal. The balance and unrestricted flow of energy from within the body & mind centres can be upset by physical, mental and emotional trauma. 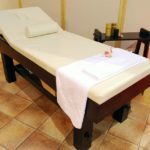 Reiki is one of the few healing practices is not evasive and as such can be added as a complimentary therapy used in conjunction with Western medicine and other alternative healing techniques. Here are just a few of the things that Reiki can be used to treat…. stress Reduction of stress is caused by the balancing of the body’s energy. Reiki helps to soothe body, emotional and mental aspects caused by stress. pregnancy Helps to restore the balance and flow of energy interrupted by the change of body chemicals and impeded energy flow caused by the change of a woman’s physical attributes. cancer Helps to reduce the nausea experienced from the pain of cancer and the radiology and chemotherapy treatments. medication ineffectiveness People who are required to take prescription medications can benefit from the ability of Reiki to promote the efficacy of the medications and may even result in the easing side effects caused by these medications. circulatory systems disorders promotes the clearing of blockages of energy which can also help to improve the circulatory system, especially to the extremities. chronic pain, depression and much more As a therapy Reiki can be added to restore the natural balance that keeps us from becoming sick.